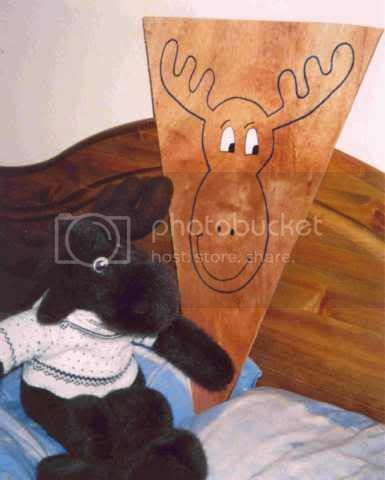 Stitch & Glue Canoe - The Blogg! Thread: Stitch & Glue Canoe - The Blogg! Last edited by MagiKelly; 24th-December-2009 at 04:05 PM. 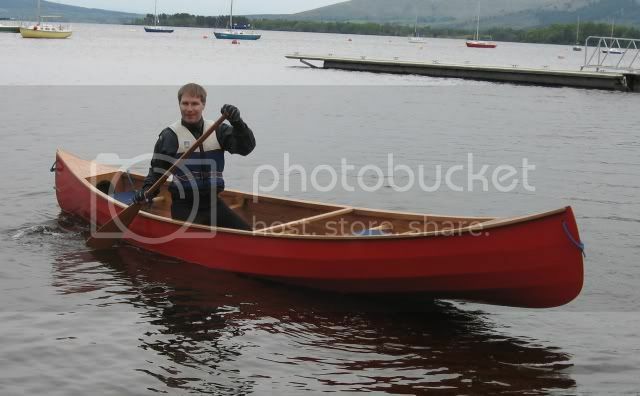 Saw your superb canoe at Inchcailloch so I know what is on the stern. Your post should be an inspiration to others who are thinking of building their own canoe. Selway Fisher were at the boat show in Falkirk last weekend the craft they had on show were well made. Great job! Good tutorial. thank you for sharing with us. Great post definitely another for the main site. 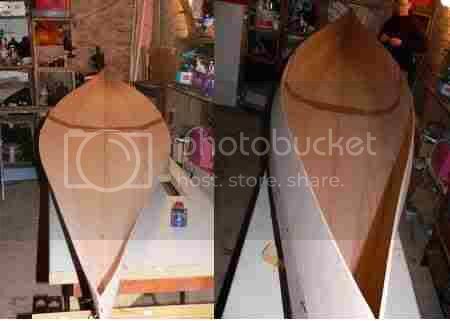 I have paddled this canoe it handled very well, I would be really tempted to build one myself but my weekends are almost less existent than my woodworking skills. I've spent a lot of time, over the years, steaming wood. 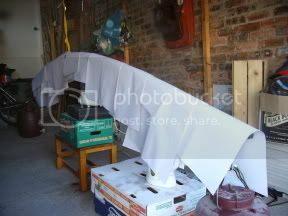 I've got a steam box (for large pieces) and a 20 foot piece of well casing, for things like gunwales. 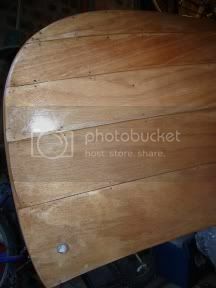 A few years ago I came upon a very simple way to steam wood. I've yet to break anything I've tried to bend, and it is fast, easy, and gives you all the time you need, as the wood is still being steamed as you bend. Simply wrap your work (gunwale, or whatever), in a towel or towels, and pour boiling water on it. Wait just a bit, and go at your bend. Keep more boiling water on hand. If your bend is not going well, you can re-apply hot water to the towels as needed. You will want some kind of heavy mitts to work with the towel wrapped wood - or you'll burn your hands. I use welder's gloves. Nice one Blutack. Entertaining, informative and inspiring . I've just decided in the last week to have a go at a home build, like yourself I've got next to no woodworking experience so this was just the sort of encouragement that was required, it's quite a daunting thought. Having had a good look over your boat and judging by the fact you made it off of inchcailloch in one piece I reckon you've a lot to be proud of there . Way to go! Thank you Sir! That is just the inspiration I needed to get mine up and running! Time well spent,you owe yourself a good drink!! Here`s A cheap way to add an inspection hatch/Dry box to your self builds` baulkhead. Find a bucket or container with a press on/peel off lid. Cut hole in baulkhead to match just below rim diameter. Insert bucket/Pot through hole and fillet/tape into place on inside of baulkhead with epoxy. The bucket can be left closed to form a watertight "pod" within the bow/stern space or the bottom of the bucket/pot can be removed to allow access to stem and stern. A fine looking craft. Beyond my skills with wood I,m afraid. 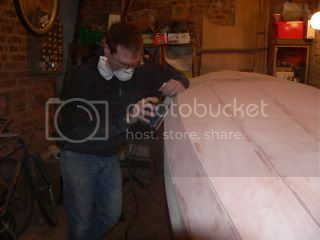 This was the blog that started me off, I am no carpenter and dont claim to be a woodwork expert,I would recomend a self build to anyone,you only need some basic tools and the desire to own your very own canoe,mine is far from perfect but does the job,I also learnt so much from the build that I would not hesitate to build another better boat in the future,so Guys and Gals give it a go,the satisfaction factor is worth it,its a good feeling when you look at the finnished product and say to yourself "I did that"
Not my kind of canoe but that's a good job Blutack. Hi all, I am new to the forum/site and would like to say hello. I have a question for Blutack but am sure that a number of you may be able to reply. I have just purchased plans for the Selway Fisher Prospector 16 and am much looking forward to the build and the first paddle. 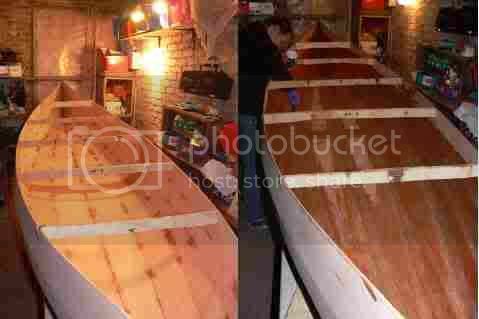 A question thats bugging me is thickness of the ply used and so the final rigidity of the canoe. The plans literature states a weight of 30kg but suggests 4,5 or 6mm ply - I am guessing that 30kg would be with 4mm! I saw a thread on another forum where someone had used 4mm but found their finished canoe flimsy. Anyone know any different or have any experience or thoughts on this. I appreciate the difference weight makes for lifting on/off of roof bars for example but what about on the water. 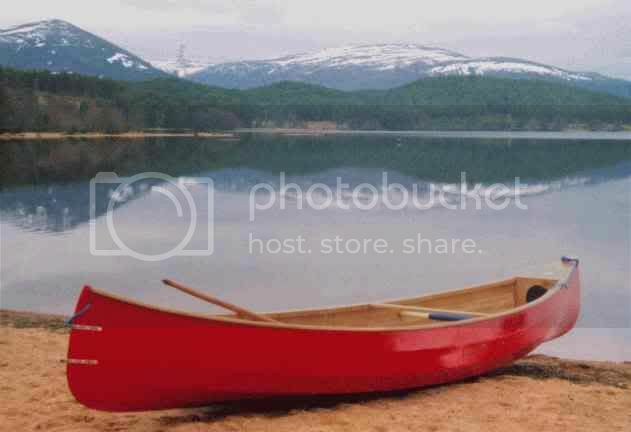 I have a lot of boat experience but as this will be my first canoe I am not too sure what to expect. My current thoughts are 'the lighter the better'. I appreciate any info you can offer, and hope in time to be able to post my own experiences of both building and adventures afloat. This is exactly the sort of build blogg I needed to see. I am contemplating a stitch-and-tape build next spring, and having very limited wook working skills, and absolute no experience of building anything as alreg I am gald to see that your were so successful. Expect a bonbardment of querisw early next year . Blimey - never thought this thread would see the light of day again! Norton - I used 5mm Robbins Timber marine ply. It was a bit pricey by the time it was delivered, but the quality was excellent (one extra ply compared with the other stuff I could get locally, so nice and strong). Combined with the bilge runners, the hull is nice and rigid. If I had my time again, I might well go with 4mm, and then sheath the canoe with glassfibre cloth I think. Generally, the weight makes the biggest difference when lugging the canoe about. When on the water, another few kilos here or there don't make much difference. Mine would have been easier to carry if I'd put in a proper shaped yoke, but I was learning as I went along (when I got the plans, I couldn't even work out which end was the bow! ). The other thing I learned subsequently is that the Prospector is a highly rockered, and hence very manouverable design. Great for whitewater (hmmm - in a plywood boat? 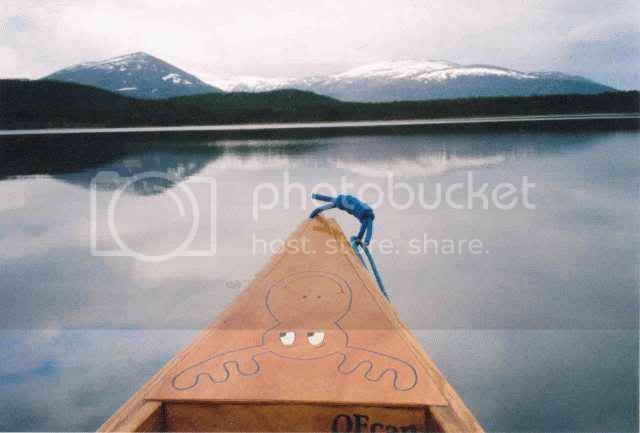 ), but not the best for the lochs I use my canoe on (it's very susceptible to wind, with the rocker and high bow / stern). See the S.F. Raven for an alternative if you are concerned about this. Happy building! I know that making mine was the most satisfying thing I've done for many years. Thanks for the reply, think I will go with 4mm and treat it all as a learning exercise. 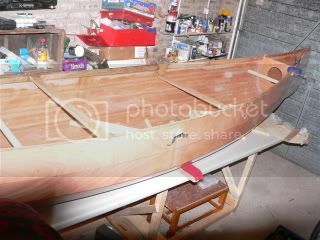 I already am hoping to build a second using clinker ply method. Maybe getting a bit ahead of myself though! Looks a grand job! Still, I am not going to attempt it right now! can;t see some of the pics you posted? would like to see the stitching in a close-up photo? See what you can do? Happy paddling! See what you can do? Sorry!! It was a long time ago - the pics were all taken on 35mm and scanned in, which is why they're so dodgy looking! The stitches are really easy - just a hole at the edge of each panel, then copper wire stuck through and back to form a loop. Then you just get your pliers and twist until it's tight. Have a look at some of the other self build blogs on here - I'm sure some will show the process in enough detail. Yes, I did remove the stitches before I taped the seams. What I did was to use a countersink drill bit to make 'dents' in all the seams from the inside (i.e. not a hole all the way through, but put the bit between the two planks, and spin quickly to make a small depression). These 'dents' were then filled with thickened epoxy, which had the effect of 'tack-welding' the seams together. I then removed the stitches, and taped the seams. The 'tack-welds' are visible in the final boat, so not the way to go if you're a perfectionist. However, I would definitely use this method again. The other thing I learned subsequently is that the Prospector is a highly rockered, and hence very manouverable design. Great for whitewater (hmmm - in a plywood boat? ), but not the best for the lochs I use my canoe on (it's very susceptible to wind, with the rocker and high bow / stern). I've often wondered about this, the SF Prospector seems very popular with home builders and is a nice boat to paddle, but the design principles somewhat contradict the general use of it! Would this survive enough to be useful?